Do you live here in Johnstown? Is it time to give your home an upgrade with a fresh coat of paint? Well, we’re the crew to call. Here at Horner Painting, we’re proud to serve our neighbors throughout Northern Colorado, including homeowners in Johnstown. We offer a variety of painting services, including interior and exterior home painting. We also offer minor drywall repairs, minor removal and replacement of siding, fence and railing painting, caulking and glazing, deck painting, varnish and clear coat work, power washing, garage and basement painting, and trim painting to compliment our interior/exterior painting services. 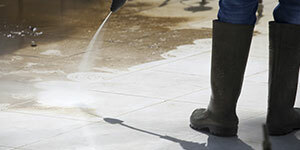 In short, we can coat every surface on your property, all in one fell swoop. You can read more about our individual services below. The crew here at Horner has a commitment to quality — we take pride in our craft, and we go out of our way to ensure that our customers are satisfied. That’s why we offer free quotes on our projects; that’s why we provide a complete walkthrough to make sure you’re happy; and that’s why we offer a comprehensive five-year warranty on our work. If you’re ready to experience the Horner Painting difference for yourself, feel free to get a free estimate, or give us a call. If your home’s interior just doesn’t feel like home anymore, we have the cure. We provide professional interior painting services that will leave your walls looking pristine, and your guests impressed. Read on for additional information about the benefits of interior painting, our painting process, and why Horner Painting is the obvious choice for homeowners here in Johnstown. Updating the interior of your home is an opportunity to modernize its look, improve its value, repair and upgrade and surfaces with blemishes, and provide a personal touch. If you have a home with outdated paint colors, or you simply want to bring your home into the 21st century, we have the paint, brushes, and talent for that makeover. Plus, a fresh coat of paint doesn’t just look good — it means added value for your home, so you’ll see a return on your investments, should you ever decide to sell your house. If you have walls that are marred with dings, holes, and smears, a paint job (and some repairs) can make your abode feel whole again. Best of all, painting your home provides you with an opportunity to get creative. Paint the surfaces of your walls to suit your favorite color palette. We’ve perfected our painting process to ensure that you get the right paint on the right surfaces, and to ensure that your project is completed efficiently. We understand that you want to keep living your day to day without too much interruption. To start, we’ll meet with you to discuss paint colors and the surfaces that you’d like to paint — we can provide color consultation if you’re undecided about the colors for your interior. Then, it’s time to get to work. We’ll have you move smaller items and furniture away from the surfaces that are going to be painted. We’ll also move or cover any large furniture or items that must remain in the room. Afterwards, it’s time to repair any walls that require repairs (we offer minor drywall repairs on top of our traditional interior painting services!). Next, we’ll tape off corners, lines, windows, and doors. And finally, it’s time to paint. After the job is completed, we’ll clean up, reorganize your furniture as it was, and provide a walkthrough with you to ensure that you’re completely satisfied with our efforts. If you notice any issues, we’ll fix them right away. When it comes to home painting, there’s no better crew than the experts here at Horner. We’ve been serving Northern Colorado families, including residents in Johnstown, for nearly two decades. 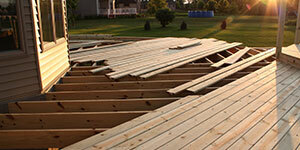 We also offer free estimates, and a comprehensive five-year warranty. Our policy is simple — if you have a problem with our work, we’ll fix it. No questions. No exclusions. There’s also no extra charge for our warranty — it’s included with our services. If you’re ready to update the look of the interior of your abode, please reach out to us, or get a free estimate while you’re here. Make your home the talk of the neighborhood with a fresh coat of paint. We make quick work of home exteriors, and we provide a litany of complimentary services (including deck staining, fence painting, pressure washing, and more — read our full list below). When you want to give your home a brand new look, our crew is here to help. Below is a brief overview of the benefits of our exterior paint jobs, our painting process, and why you should count on Horner Painting for your upcoming project. Painting your home’s exterior boosts its curb appeal and value, it provides an added layer of protection from the elements, and it gives your home the character that you desire. 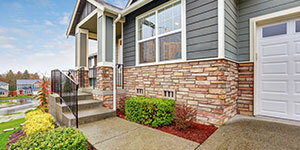 If you intend to put your home on the market — whether it be now or years into the future — an exterior paint job will up the value of your home, while enticing buyers with heightened curb appeal. Our process starts with a discussion. We’ll work with you to make sure that we understand your vision for your home, including the paint colors we’ll be using — we provide color consultations if you’re undecided about that last bit. Once we know what you’re looking for, we’ll get to work. We’ll protect plants, your landscape, and other items around your home with drop cloths and plastic covers. Then we’ll tape off edges around your home, and get to work painting. Once your home is fully painted, we’ll clean up and go through a final walkthrough with you to make sure that you’re perfectly satisfied with the job. If there’s anything out of place, we’ll make it right. We strive to be efficient when painting homes, so that you can get back to your day to day as quickly as possible. Horner Painting is Johnstown’s Top Rated Local® residential painting provider. People trust us for their exterior painting needs due to our affordability, efficiency, and professional effort. 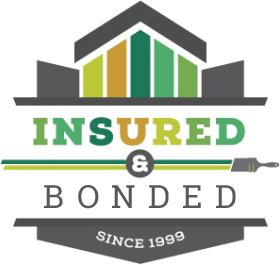 We offer free estimates for our projects, and we back all of our work with a comprehensive five-year warranty. 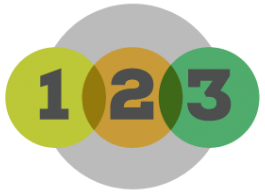 If you’re ready to find out why we’re the number one choice for Johnstown residents, give us a call or start right now with a free estimate. If you have a ding or hole in your wall, you’ll need to patch it up. And that means that you’ll need to color match the paint surrounding that blemish. You may also want to extend the color of current walls in your home, yet you don’t have any paint leftover to keep your house’s theme consistent. Or perhaps, you’ve removed a fixture from your wall (e.g. a lightswitch or thermometer), and the wrong paint color is underneath. Regardless of the reason, we can color match your surfaces to provide you with a consistent look. The color matching process is rather simple. We take a sample of the color that you’d like (usually we’ll just chip off a small bit of paint from your wall), and then we use a machine to analyze the color. The same machine provides a paint dye mixture that precisely replicates the color of your paint. We’ll test the new coat against your current painted surfaces to make sure that it’s a match. If you have cracked drywall, a wall with a hole in it, or a minor dent in your wall, we can patch and repair your wall. Plus, of course, we can paint your walls after they’re complete once again. 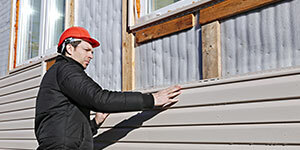 If you have siding that isn’t holding up, we can help. We can repair and replace a few panels around your home to give it a finished look once again. Do your fences need a fresh coat of paint? 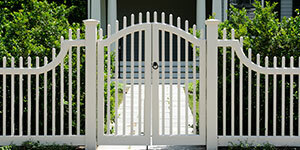 Are your railings losing paint chips every day? Let us take care of that for you. Caulking and glazing is a must to keep your home weatherproof and efficient. If you have old caulking and glazing, we can pull off the old layer and apply a fresh, new layer. Protect your home with our caulking and glazing services. Have a deck that could use a coat of finish? Or a pergola that could use a whitewash? Regardless of your needs, we can help you with your deck, deck railings, and patio covers. If you have any wood around your property that could use a varnish or clear coat, we have you covered. 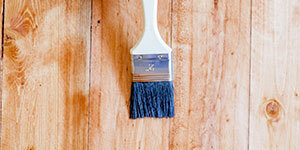 Revitalize the look of your wood, and give it some extra protection with our varnish and clear coat services. Need to power wash your siding? Or is your deck caked in dirt and grime? We provide power washing services too. In fact, we’ll power wash certain exterior services before we apply paint or a finish, to ensure that it adheres to the surface. Our painting services don’t just stop at homes. We paint garages, sheds, barns, you name it. 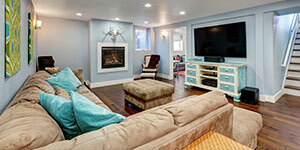 Plus, we can provide the finishing touch on your unfinished basement. If you simply want to update the trim on your house without painting the rest of the surfaces, we do that too. Your trim may get damaged faster than other parts of your home, or you may simply want to change the style of your trim, and nothing else. If you’re ready to experience the difference behind the Horner Painting name, we’re here to get started. Get a free estimate, or reach out to us for an appointment. Our procedure starts by giving you a free estimate and comprehensive warranty information. No deposit is ever required. You can rest assured working with Horner Painting as a fully insured and warrantied company. 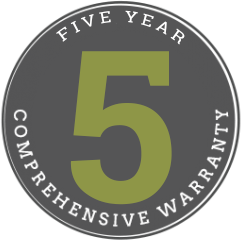 Our five-year comprehensive warranty is one of the best you will find in Northern Colorado. At Horner Painting we strive for excellence. In the event that you are unhappy, we will make it right! At the completion of every job we set up a walk through to go over every detail of your project. We do not expect any payment until the job is finished to your satisfaction. All projects also include a five-year comprehensive warranty.